Capital Benefits - Open a Virtual Office in D.C. Virtual offices are the new option for having an ideal office “space” that fits your every need while offering flexibility and convenience. In the busy city of Washington D.C. (a mecca where business meets politics) virtual offices can yield countless benefits for any type of business! What is the most used item in our office space? The desk chair. Your desk chair is just a chair when you’re not sitting there, but once you take a seat, it becomes your home for the next 8 hours. With 86 percent of office workers reporting discomfort from their furniture and equipment, it is obvious that desk chairs matter when it comes to optimizing your office space. But with so many choices, how do you know which one is right for you? Here are some of the best solutions for making your desk chair more like a welcoming! Whether you have new hires that need to learn your business or existing employees that need to explore new technology, it’s important you have a training facility that accommodates your needs. While hotels have long been used for large trainings and meetings, executive suites are rapidly becoming the first choice for many different types of training. Both hotels and executive suites offer many of the same amenities such as state-of-the-art technology, Wi-Fi connections, and necessary furniture, but executive suites have more than just the basic needs for an efficient and easy training facility! Leadership. This is the hot topic in offices in Washington with the recent first meeting of the 113th Congress and the forthcoming presidential inauguration. How do you define leadership in business? Does having a large corner office, a prestigious title, and the consummate salary settle the question? No. Being a leader in the office has evolved into a complex position that anyone with a mind to further their company’s mission can take-on. Here are a few things to keep in mind whether you are continuing or preparing to take on a office leadership role in your company. 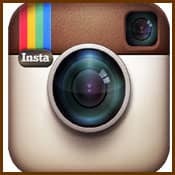 How to Build an Instagram Community! 2013: The Year to Sign up for a Virtual Office! In the blink of an eye, the concept of the virtual office has revolutionized the executive suite industry. The combination of off-site live communication with address and answering services allows users to reduce traditional office costs while maintaining business professionalism. The start of the New Year is the perfect time for your business to make the transition! What's Your "Ideal" Office Space? Content is king; and content marketing reigns supreme in the contemporary office. You’ve likely at least toyed with the idea of starting a company blog, but taking the serious step of embarking on a full-fledged content marketing campaign is a time consuming commitment that can have great rewards. With 2013 now here, it’s a great time to make content marketing a priority in your office. Here are a few dos and don’ts to help you get started. The beginning of a new year is an optimal time for businesses to reflect on the marketing campaigns utilized the previous year, identify strategies that produced the highest ROI, and tweak (or perhaps remove) the ones that didn’t perform as well. During this process, it is critical for companies to research the projected marketing trends and strategies for the upcoming year and prepare accordingly. 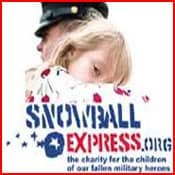 All Aboard the Snowball Express - 2012 Fundraiser!